MetroSongs Volume 4: Get ’em while they’re hot! 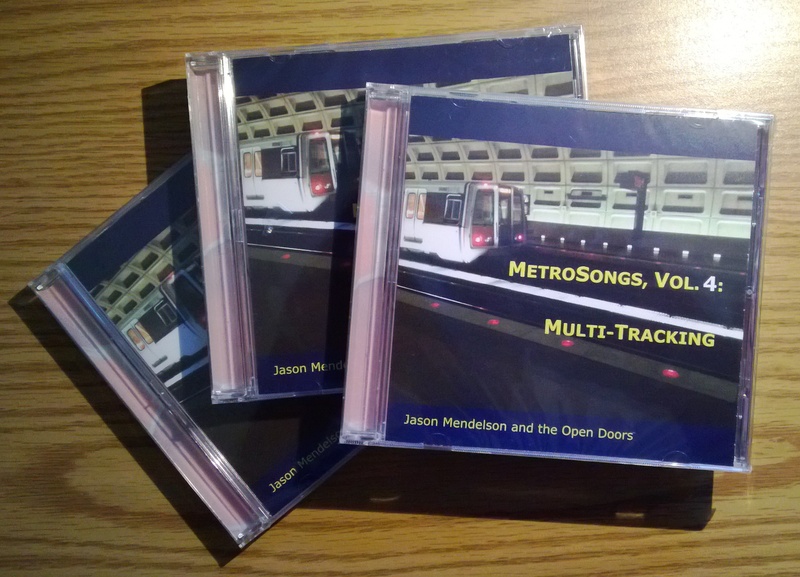 Just received a stack of the new MetroSongs Volume 4 CD, which we call “Multi-Tracking” to mark the first recording by the entire MetroSongs band, Jason Mendelson and the Open Doors. You can hear the latest collection on BandCamp, and buy a physical CD for your very own for only $10 from that site or (better yet) directly from me. I’m really proud of this collection, and happy to have had the opportunity to contribute as a writer and player on most of the tunes on the album. Previous Previous post: Jazz for a novice listener? Next Next post: MetroSongs Volume 4 released today!